Auturmn is fast approaching and it is pretty scary to think that Summer is pretty much over its hard to believe. Summer comes by so fast and before you know it your entire wardrobe changes and you start bringing out jumpers, trench coats and boots. I love this time of the year so much as the leaves start changing and falling off the trees and its an exciting time of the year as Halloween, Bonfire Night and Christmas all seem to happen straight after the other - you really do not have time to breathe. One thing that I dislike about this time of the year is the transitioning of your makeup. So maybe its just your lipstick or eyeshadow that plays a massive part in that and it annoys me so much when this happens as because I am blonde I really do not suit dark lipsticks... they are not me and just do not suit my hair colour, skin tone.. it just is not for me. I prefer pinks and peach colours. However I do love 'Velvet Teddy' by Mac Cosmetics which is a defintely a lipstick which I love. A few weeks agoI just decided to have a play around with some old lipsticks of mine and I came across a Chanel lipstick (see above pictures) which gave me the Auturmn/Winter vibes and when I applied it to my lips I was not sure what to think to be honest but I was very surprised when I had a look at the photos I took and it didn't look too dark. I would wear this lipstick on an evening personally, it is not a lipstick I would wear during the day. I love Chanel lipsticks so much, they are rather expensive but just look amazing and are great. 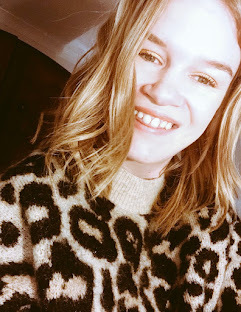 The one I am wearing was actually a Christmas present from my parents a couple of years ago but after writing this post I feel like I love it even more than I did when I first got it. I think it goes well with my David Bowie t shirt but now that Auturmn clothes are slowly making their way into the shops I am rather excited to find the perfect jumpers to wear with this lipstick. It would be such a great combination and just an excuse to wear it again. I also wanted to aplogise for the lack of posts so far, I know its only the 9th of September but I have been pretty busy this week and so the blog has taken a bit of a back seat but don't worry things will be back as normal very soon.